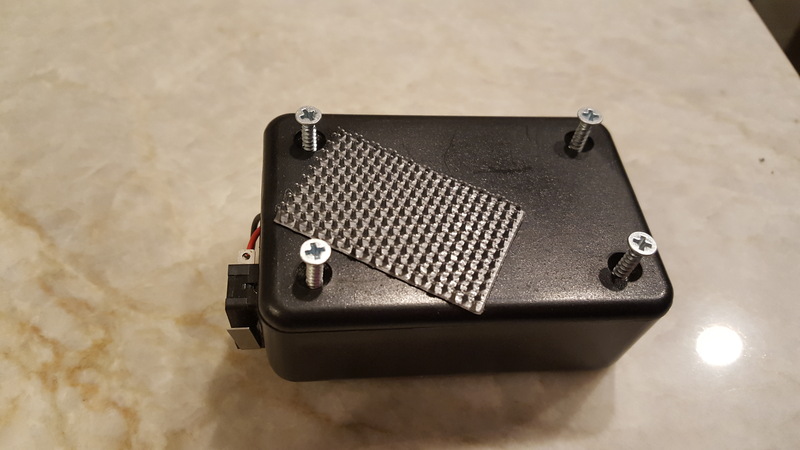 After a reloading session and running out of primers several times, I decided to build an alarm for when the primer tube runs out. Each time it happened, I missed the fact it was empty for a case or two and had to go back and fix those rounds. This ended up being pretty cheap and will save me from having to go back and remake several rounds. 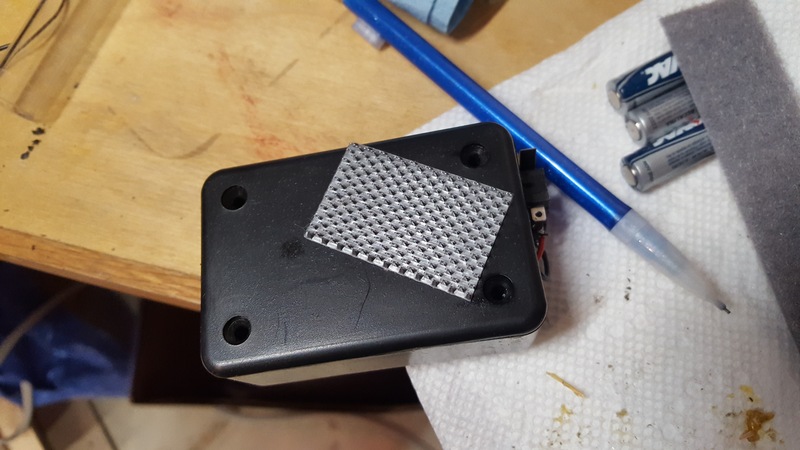 I thought about making an alarm that sits on the primer tube, but I didn’t want something else on top of it rattling around. 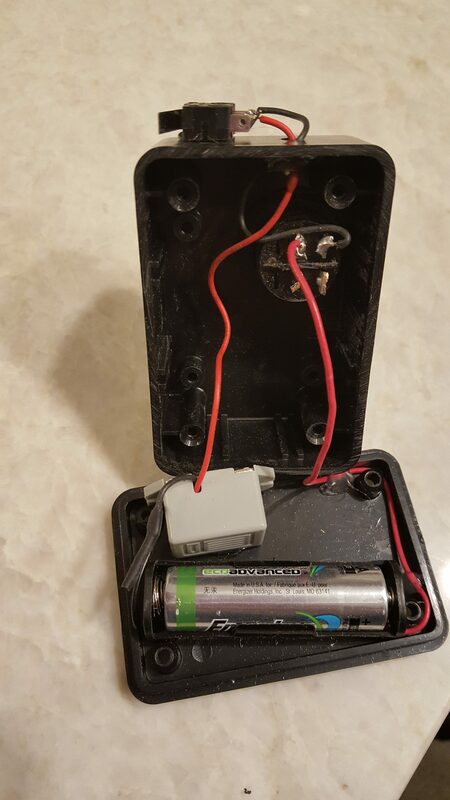 With this system, I might add a powder check alarm that uses the same battery and buzzer. 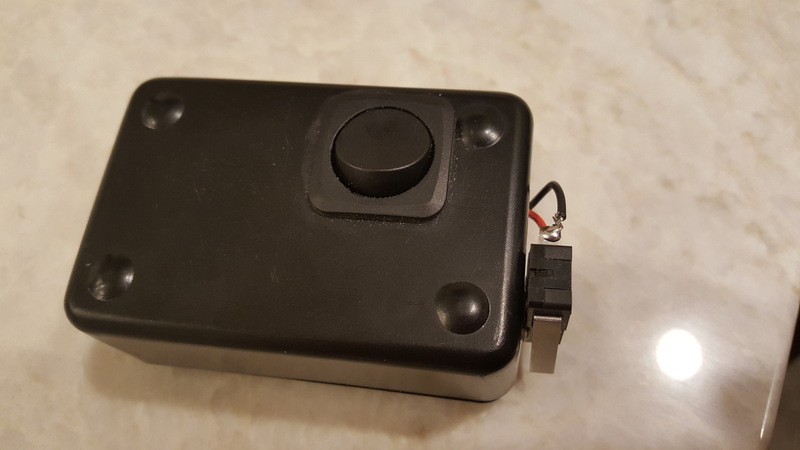 After trying several ways to fit it all in the small project box, I hot glued the buzzer and battery holder to the underside of the lid, drilled a 13/16″ hole on the top for the on/off switch, and drilled a smaller hole to run the wires outside the box for the SPDT lever switch. 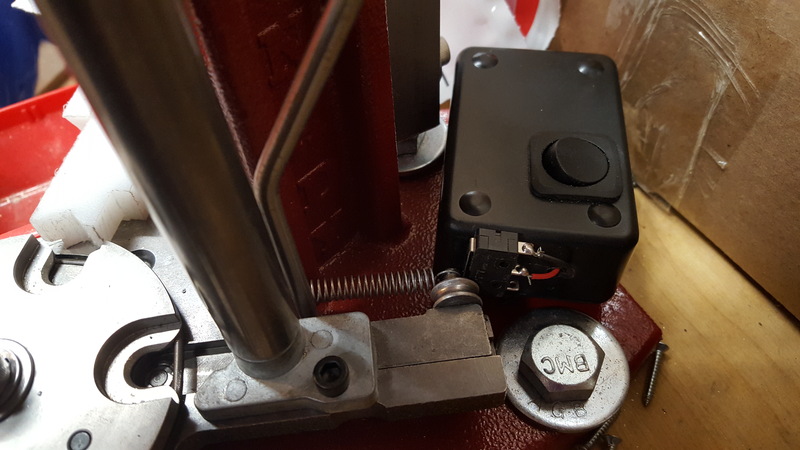 The way a Hornady Lock n Load Press lets you know it’s out of primers is when the fiberglass rod drops into the opening in the primer shuttle, it locks the shuttle to the rear. Since the shuttle normally is pulled forward at the bottom of the stroke, the lever switch can be placed so the shuttle activates the switch. 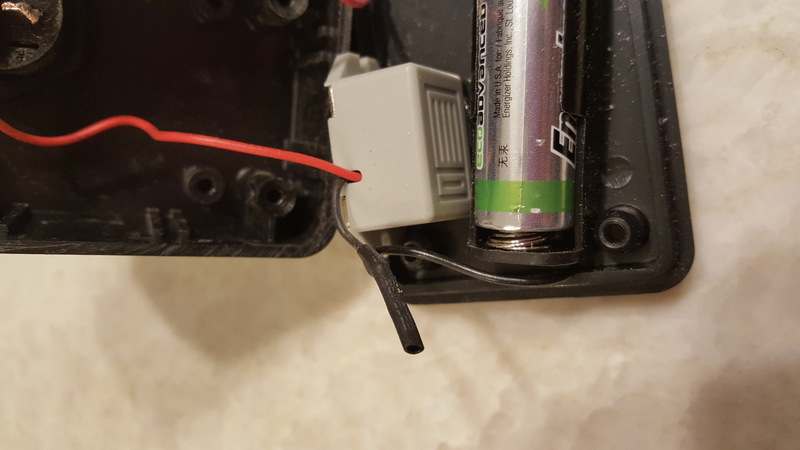 In order to be able to open and reposition it, I used Velcro with adhesive on it to attach the alarm to the press. The on/off switch on the top is there in case I decide to turn the alarm off without having to move it. 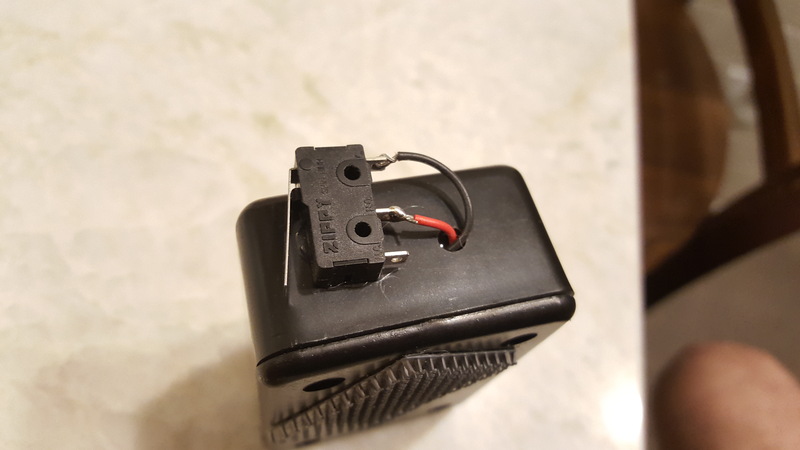 In the future, I would like to build a similar sensor as the Dillon Powder Check and just wire it into this box. 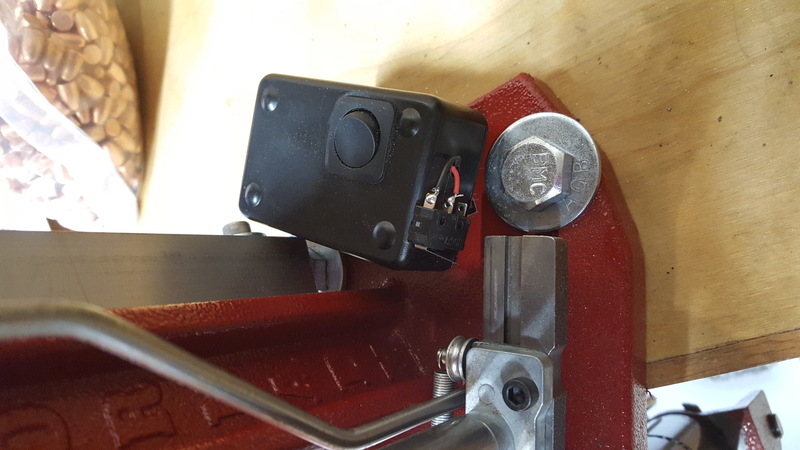 Then I won’t need another case rattling around on top of the press and I will save a little on parts too. I purchased all the parts at a local Radio Shack (I know, who shops there for electronics parts these days?). 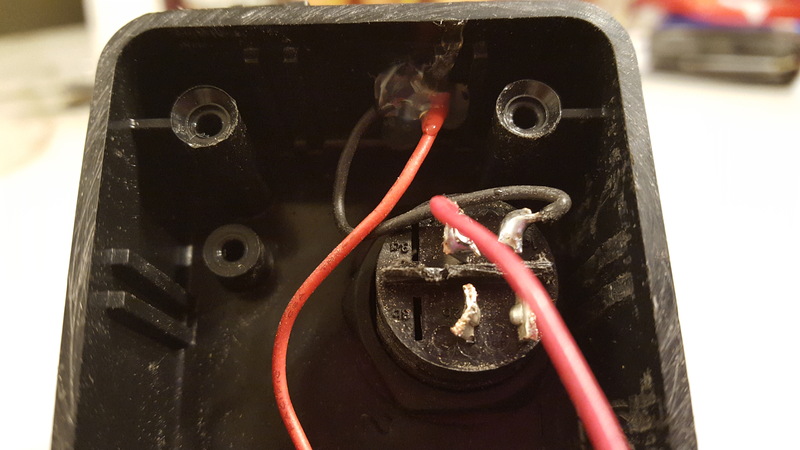 If I had purchased them online, I think the cost would be closer to $10, but I wasn’t sure about fitting everything in a project box and wanted to find the right fitting parts.